Timber bridge builder, Nature Bridges, in conjunction with Shoreline Foundation, completes Dan Russell City Pier located at Pier Park in Panama City Beach, Florida. Nature Bridges (http://www.naturebridges.com), a leading timber bridge builder specializing in the construction of timber bridges and pedestrian boardwalks through all types of environments, announced today it has completed the construction and installation of custom built heavy timber deck panels, pre-cast bollards, handrail and decking, in addition to staining and sealing timber materials for Panama City Beach's premier pier. 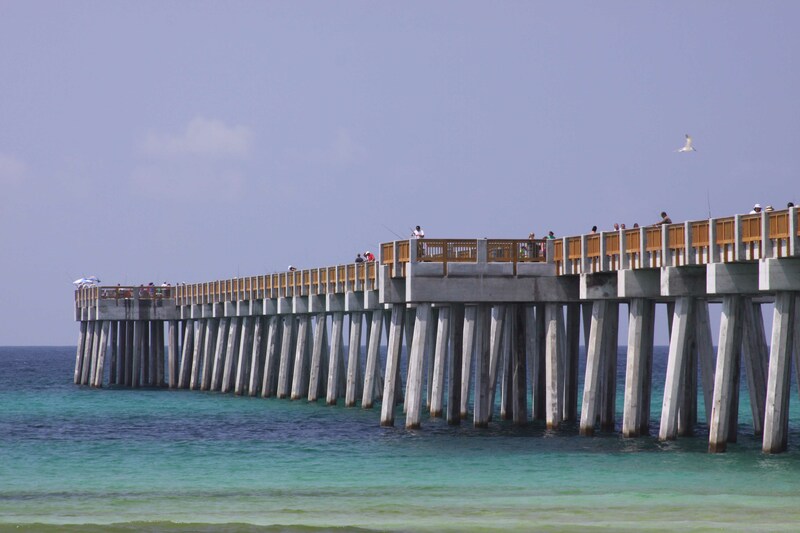 The Russell-Fields Pier, also known as the City Pier, is located in Panama City Beach, Florida at Pier Park and is the longest pier on the Gulf Coast. Originally built in 1970, the pier suffered structural damage during Hurricane Ivan in 2004. Due to extensive damage, the pier was closed for approximately three years. Subsequently, the entire structure had to be rebuilt. The debris from the pier was removed from the damaged site and taken out to sea to create an artificial reef. 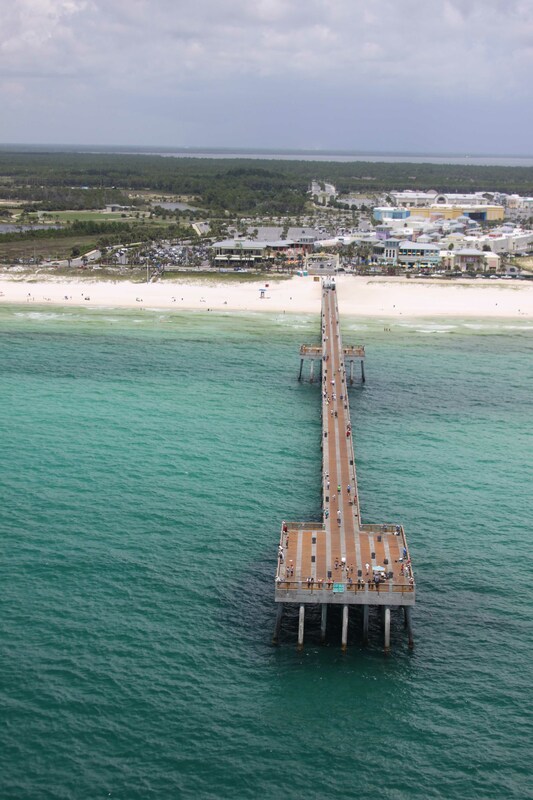 The new pier is a foot wider, 29 feet longer and 8 feet higher than the old pier making this new and improved pier longer than any other on the Gulf. During the reconstruction of the City Pier, leading timber bridge construction company, Nature Bridges, was responsible for the supply and installation of 3,400lf of heavy timber deck panels, 3180lf of guardrail, 1260lf of 500 pound "blow out" deck panels, in addition to the 59' x 30' mid section and 59' x 90' termination at the end of the of pier. Nature Bridges was also responsible for sealing and staining the pier. The "blow out" deck panels helps make the pier a great deal more hurricane resistant than the old pier. 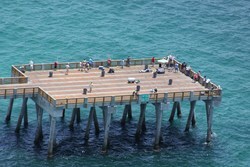 The panels for the pier were fabricated and assembled at Nature Bridges' facility in Mexico Beach, Florida. During the fabrication process, Nature Bridges stored the deck modules for a period of 90 days in order to facilitate the minimum required drying period. Once the panels were ready, Nature Bridges loaded the panels on their semi and shipped them to Panama City Beach, where their Nature Bridges workers begin installation. The convenience of Nature Bridges' off site fabrication and storage facility, plus its commitment to quality workmanship and on time schedule performance, made the choice for Shoreline Foundation to use Nature Bridges an easy one. "The benefits of using wooden panels on the pier instead of concrete ones are numerous, including time and cost savings. Should a hurricane or storm surge threaten the pier, the timber panels we fabricated are designed to blow out to keep them from damaging the superstructure. If some are lost during the storm, it's much easier and much more cost effective to install new timber panels than it is to have to repair structural damage done to the superstructure itself." said JD James, President of Nature Bridges. Located in Tallahassee, Florida, Nature Bridges is a leading bridge company that specializes in design, construction and maintenance of golf course, pedestrian, vehicular and timber bridges, along with architecturally-designed site amenities. For more information, contact Nature Bridges at (800) 759-0675 or visit naturebridges.com.